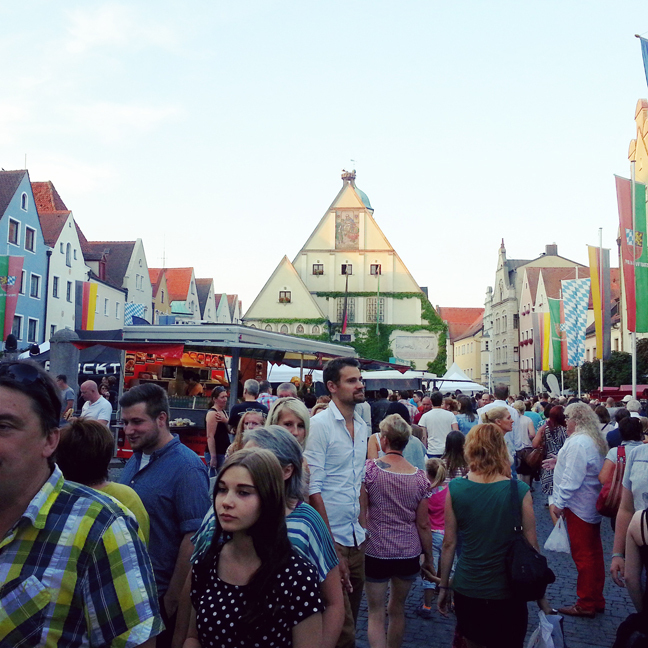 Last Friday night we went with another couple to Weiden (the closest "big" city - about 25 minutes away with 42,000 people) for a festival! It was hoppin'! Music, food, and people galore! We walked to the park and enjoyed our evening sans kids. 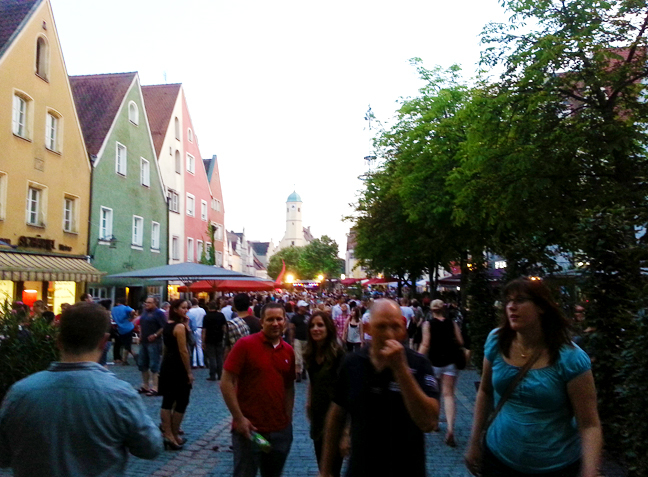 Super fun night in Bavaria! 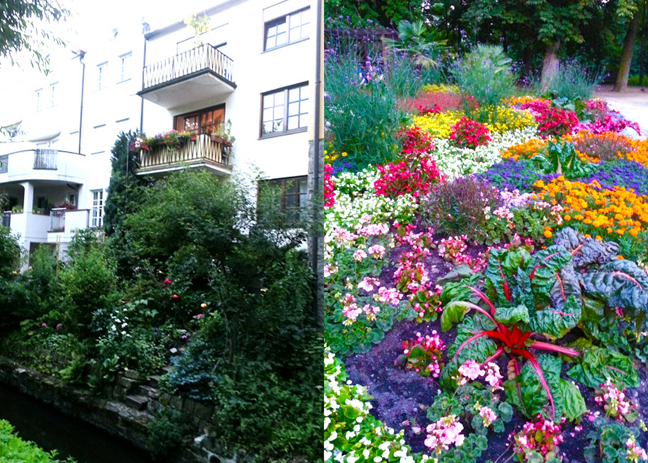 Then less than 12 hours later we were back in Weiden for a flea market! 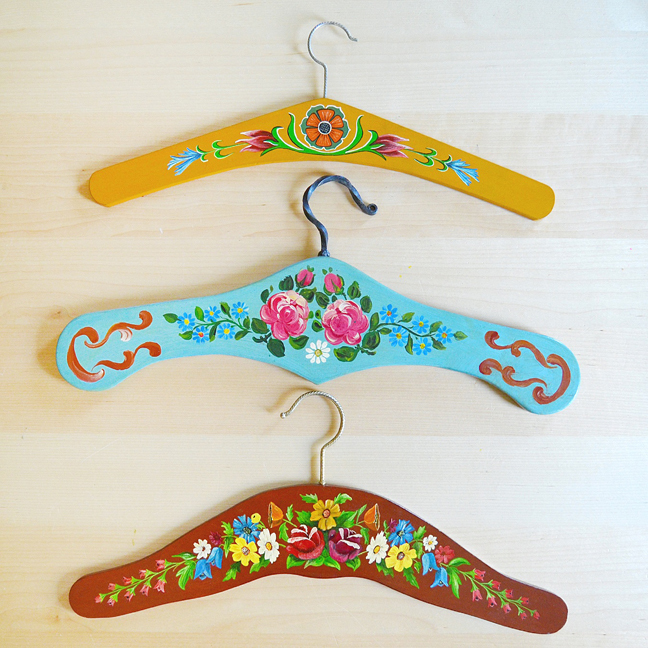 I found these three painted hangers for €5 total! I LOVE painted ANYTHING! I wasn't going to ask how much this nightstand was because I was afraid of the answer. But it was only €5! Sold! Again, I wasn't going to bother asking for the price of this vintage shelf. I was guessing they'd want €50+ and that's waaaay outta my price range. But then Jami asked and when they said €2 I threw my coin at them (cuz Germany has €2 coins instead of bills) and ran away before they could change their minds! Now it's hanging in our kitchen (the white walls could use a little yellow paint or somethin' eh?) 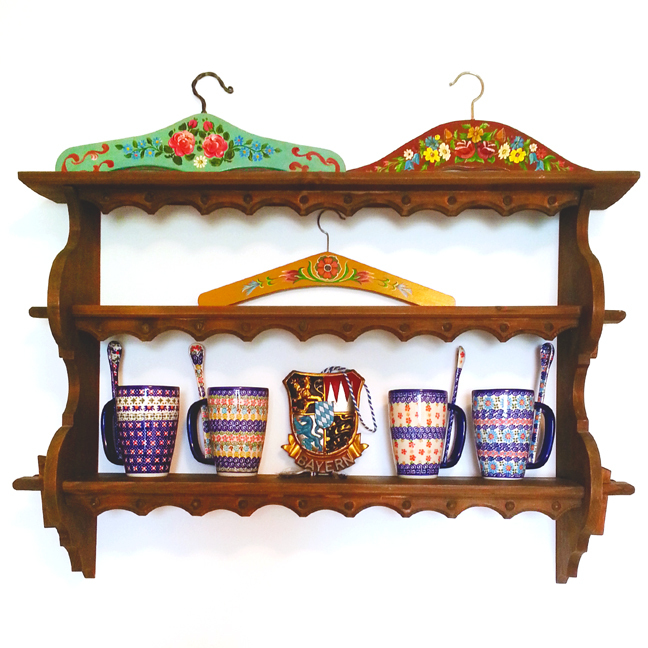 and storing some flea market treasures and the hot cocoa mugs I got on our Polish Pottery Girls Trip last winter. 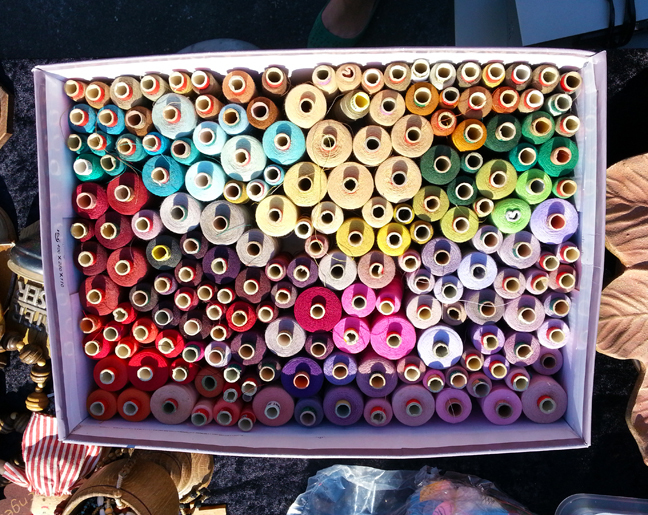 Yay for flea markets and killer deals! That was a fun night on the town! 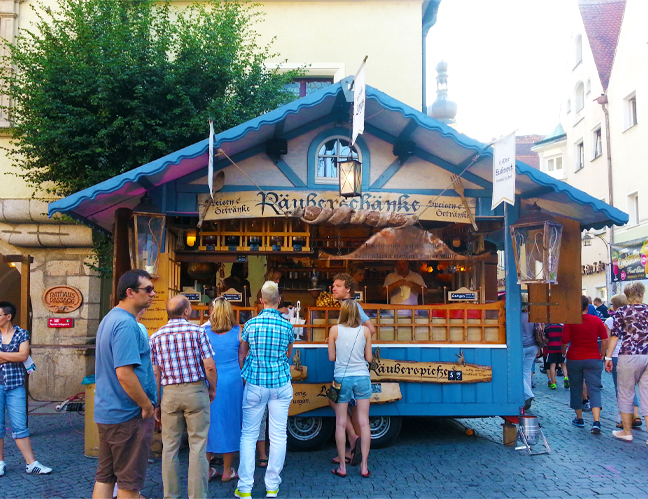 Who doesn't love listening to a Weezer cover band in Germany? Fabulous finds! Love the Bavaria crest on the shelf too. Is it an ornament? Thank you for posting your travels. Great finds Paige!! Love those cute hangers! !